When I talk to other adult Irish dancers, I often find that they feel isolated. While you may be the only adult dancer in your area, there are thousands more who lace up their hard shoes and pound the floor with seasoned feet. If you are an adult Irish dancer (any level or age) or know of an Irish dancer that would like to be spotlighted, please send an email to christy at dorrity dot net. 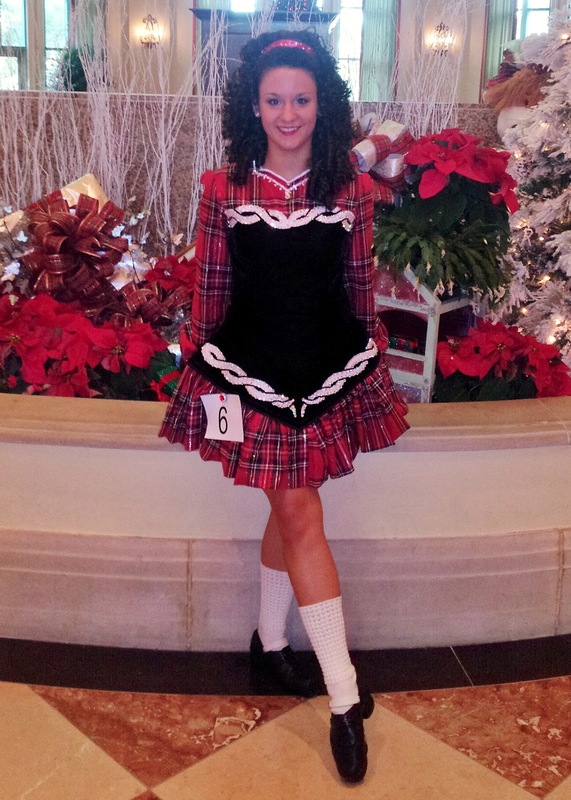 Thank you, Sara, for telling us a little about your Irish dance journey. 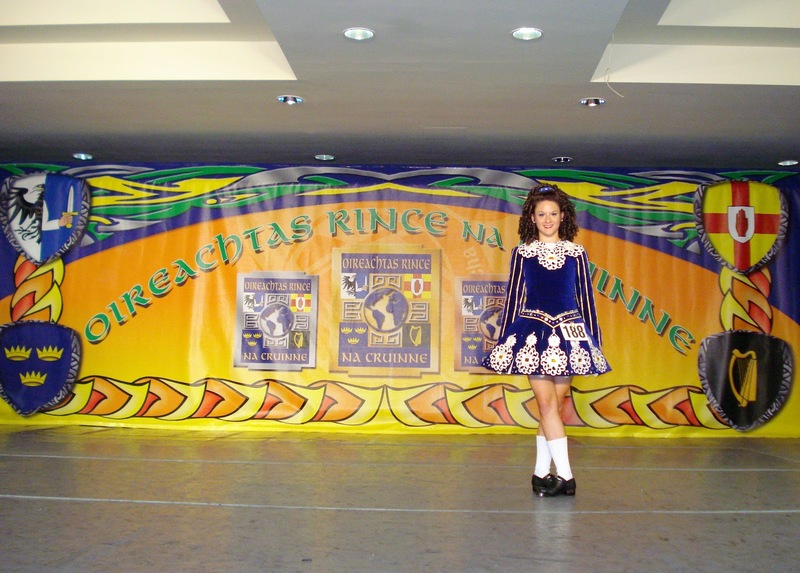 How did you get started in Irish dancing? When I was 11, I saw Lord of the Dance for the first time in a dance elective at school. From then on, I was obsessed. I watched either Riverdance or Lord of the Dance every day. I practiced overs in the pool. I just couldn't sign up for dance classes because I was a competitive gymnast. 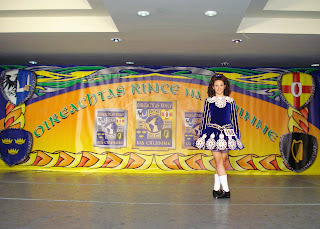 I spent most of my time in the gym, and though I kept loving Irish dance, it just wasn't meant to be at the time. My senior year of high school, I quit gymnastics due to injuries and lack of interest. I was then a coxswain for my school's crew team before I graduated and went off to college. In my first few months of college, I felt lost not having an organized physical activity to do, and I eventually found myself looking up Irish dance schools in my area After assessing all my options, I emailed a TCRG of a small dance school near me who said that though she doesn't normally take adult beginners, there was an adult class starting in a few weeks I went weekly and learned all the beginner dances, started hard shoe, and eventually got to the point where I knew all the steps the adult running the class knew I was put into regular classes and started competing at feiseanna. When my original dance school closed, I moved over to Maple Academy, which aside from being much bigger, also has dancers in classes who are my age. Which is your favorite--hard shoe or soft shoe? This is always a tough question for me because it changes on a daily basis! I really enjoy doing soft shoe because it comes naturally to me from all my years of jumping around at gymnastics, but there is nothing more satisfying than nailing down a difficult hard shoe rhythm. What is the most important thing you learned about yourself when you attended World's? Attending worlds gave me perspective on my personal view of my dancing career. In all the work I put in preparing for such a prestigious competition, I almost lost that spark that made me love and want to do all things Irish dance Preparing became a part-time job that I began to resent. It took me stepping on to the worlds stage on my day of competition to realize just how far I've come in a short amount of time in an art form that I was doing purely for fun. Since then, I have been constantly reminding myself to not put that much pressure on myself, and though it doesn't always work, I do have a renewed passion for Irish dance. How does your school react to adult Irish dancers? Many, if not all of the adult dancers in my school are dancers who kept dancing through college or decided to come back to the sport after a little break. We are leaders in the school and have a variety of positions from role models, to helping out with beginner classes, to simply leading warm ups at the start of class. As for beginning adults, I'm really not sure since I only attend class once a week in one location. 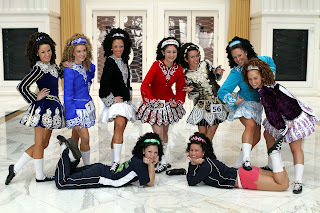 What do you hope other's will take away from reading your Irish dance blog RinceGoBragh? My hope is that other people interested in Irish dance read my blog and realize that it is never too late to start dancing! I also try to post tidbits not pertaining to my own dancing (ways to save money, things going on in the dance world, etc.). I also just started doing a monthly Irish dance how-to video tutorial which will feature a variety of different topics from warm ups to crafting tutorials.